In an unconventional move for Nintendo, one of their premier launch lineup titles for the Wii U is Ubisoft Montpellier’s ZombieU. 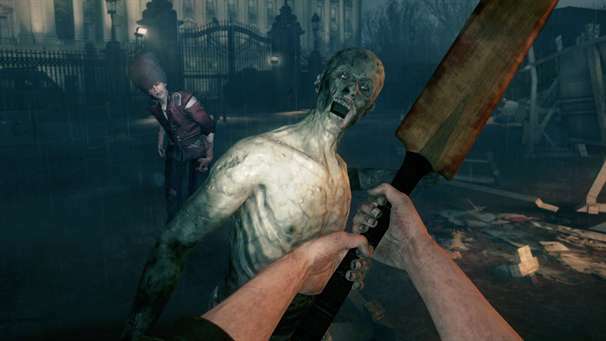 A first-person survival horror game, ZombieU takes place on the streets of London in the wake of a zombie apocalypse. 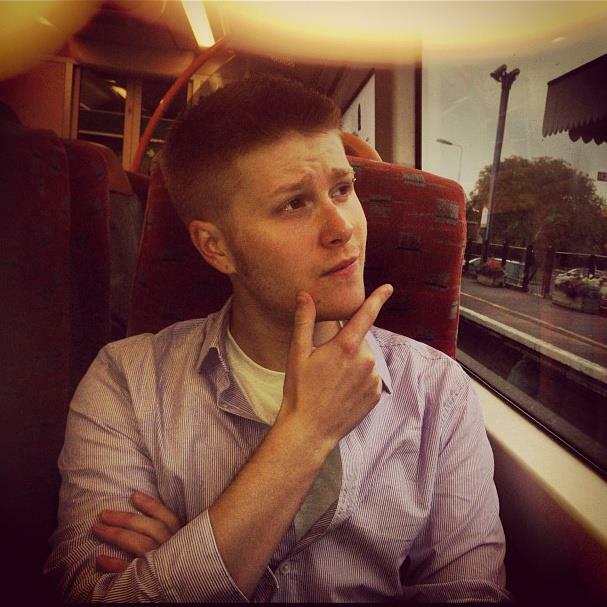 The game’s narrative centres around The Black Prophecy, a dark prediction put forth by Welsh astronomer John Dee four hundred years ago, which states that the world will come to a bloody end in the year 2012. An ex-army, no-nonsense man, known as The Prepper sees the end coming and prepares for the worst, whilst a secret society known as The Ravens of Dee researches the terrible omen in an attempt to prevent it from coming to pass. In ZombieU the player assumes the role of a random survivor, trying to weather the zombie apocalypse, aided by the Prepper via the radio. All items and weapons required for survival have to be looted from different areas and dead bodies, and skills can be gained over time as the story progresses. 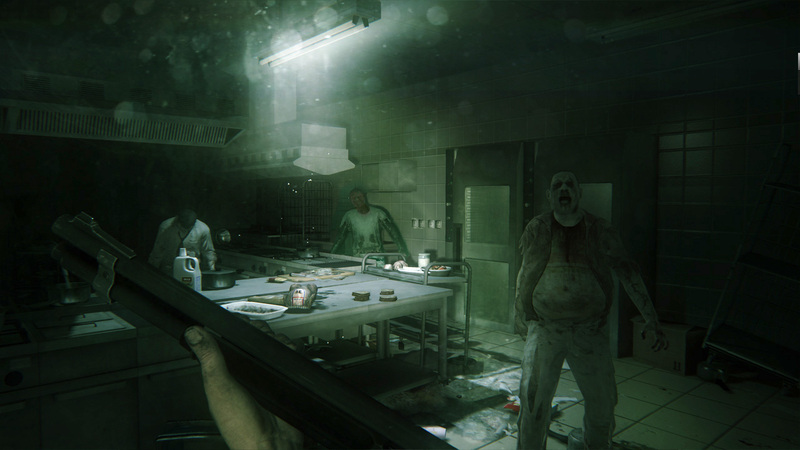 The game features permadeath, so if the player is killed, which can happen in just a single bite, they become a different survivor. The huge downside to this is that all the gear and experience gained up to that point will be lost. However if the original character, now a zombie, can be located and killed, the player can ransack their corpse, reclaiming their inventory, though unfortunately not their XP. If the player has Miiverse (Nintendo’s social network) enabled, other player’s zombiefied characters can also be found and their items re-appropriated. 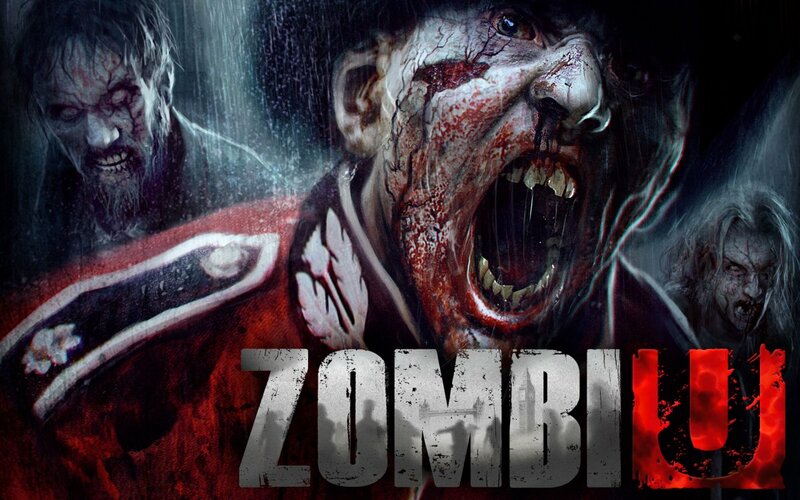 Around half of ZombieU’s gameplay is that of a traditional first-person shooter, albiet without much actual shooting. But because it was built from the ground up exclusively for the Wii U, there are a host of mechanics that make use of the Wii U Gamepad. In general the touch screen shows a mini map of the immediate vicinity. In order to go through their inventory, known as the Bug Out Bag the player has to look down at the Gamepad, splitting their attention and leaving themselves exposed. In a similar fashion, if a work bench is discovered it can be used to craft and upgrade weapons. 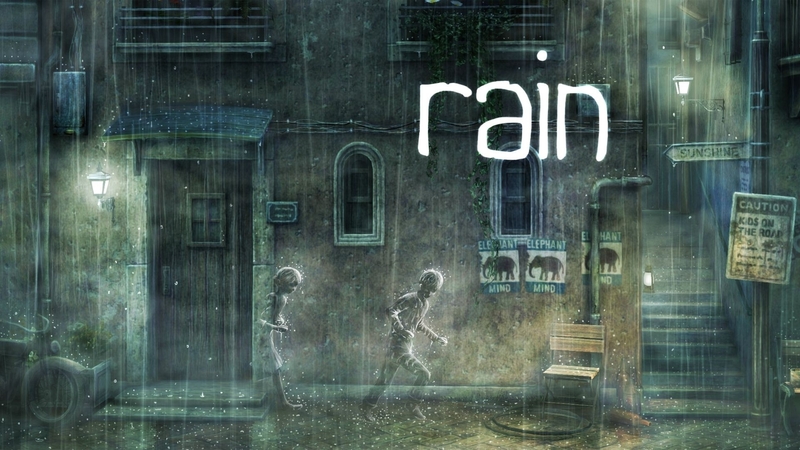 By holding up the Gamepad to the screen the player can scan their environment, revealing hidden objects and infected that could be laying in wait. By tapping the touchscreen sonar can be activated, emitting a circular ping that will detect any movement within a certain radius. When using scoped weapons such as the rifle or crossbow the Gamepad can be employed to line up the crosshairs with targets. It can also be utilised to access security cameras, set up turrets, hack various devices and pick locks. Finally if a walker grabs the player, they can shake the Gamepad to loosen its grip, and swing it to land a killing blow. If Miiverse is active it’s possible to leave messages for other players in the form of glyphs using spray paint, which they can see in their games using their scanner. This allows players to warn others of impending danger, reveal the location of hidden items, or lure unsuspecting fools to their doom. The game features a myriad of different weaponry. Ranging from melee weapons like the cricket bat, to a variety of crossbows, handguns, carbines, shotguns, SMGs and assault rifles. However ammunition is scarce so the player has to make each shot count. As well as traditional weapons players can harvest Virucide from certain kinds of zombies, which can be used to poison other infected, rendering them unable to attack. Plus molotov cocktails can be crafted and utilised to take out huge groups of walkers at once. A plethora of items can also be plundered such as a hammer and planks, which can be used to board up doors and windows. Flares, which attract zombie’s attention and can be utilised for distractive purposes. And mines, which can be employed to lay explosive traps for the undead. One of the most important items is the flashlight, which can be your best friend in the darkness but can attract unwanted attention if you aren’t careful. As well as the basic run-of-the-mill zombies there are a few other types of infected in the game. Swat Zombies are dressed in military kevlar vests and helmets, making them tougher to kill. Spitters are walkers which expectorate acid into the player’s eyes, temporarily blinding them and damaging their health. And finally there are Exploding Zombies, which wear gas masks and have tanks of flammable liquid on their back, which can explode if they get too close. As well as the main story there is a local only, two player competitive multiplayer mode, known as Survivors vs. Zombies. The player using the Gamepad is The King of Zombies. He is tasked with sending waves of infected against the other player by placing them on the map using the touch screen. The Survivor who uses a Wii Remote and Nunchuck has to fight off the hoard and survive in order to win the game. 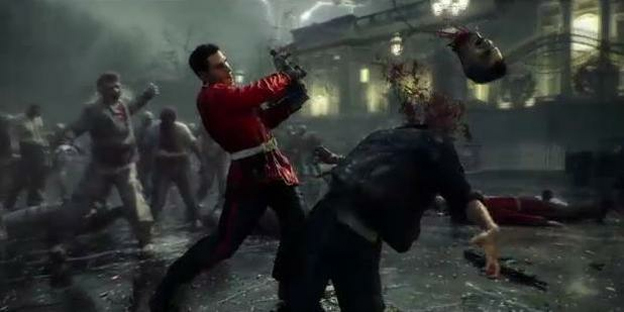 As the match progresses the King of Zombies can level up and send progressively tougher infected against the other player, including the aforementioned special types of walkers. I really want ZombieU to be good, but I’m still not convinced at this point. It’s definitely got some interesting ideas and some seemingly unique gameplay mechanics, but other elements of the overall product worry me. While the permadeath aspect is intriguing, the fact that you play as multiple random survivors negates any serious character development, which could potentially hurt the game’s storytelling. Plus constantly dying and having to retrace your steps to reclaim your gear could become exceptionally irritating over time. And as cool as some of the Gamepad specific mechanics outwardly appear to be, the graphics look a bit shoddy and the combat a bit repetitive, kind of like a poor man’s Dead Island. Having said that I’m definitely going to keep my eye on this one and if it reviews well I may consider a purchase. In the meantime however, I’ll stick with New Super Mario Bros. U and Nintendo Land as my Wii U launch games of choice. After all Nintendo first party software is pretty much why people buy their consoles in the first place. ZombieU shuffles onto shop shelves on 30th November exclusively for the Wii U.